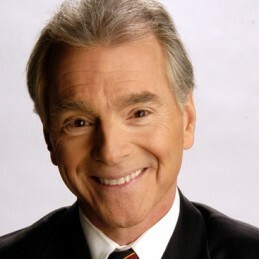 Jim Cathcart is a world-leading Sales & Marketing Expert who was inducted into the International Sales & Marketing Hall of Fame in 2012 and rated one of the Top 50 Sales Influencers of 2014. Jim popularized the concept of “Relationship Selling™” and wrote the first book by that title. He has also authored 15 other books and created the Cathcart Institute eLearning Suite, an online academy for business success. Jim’s credentials are impressive – in the top 1% of professional speakers in the world: Voted “Top 5 Sales Speaker” for 5 years in a row 2010-2014, Certified Speaking Professional (CSP), Hall of Fame Speaker (CPAE), past president of the National Speakers Association (US) and recipient of the Toastmasters Golden Gavel and The Cavett Award. A self-made success. Jim started out as an out-of-shape, overweight clerk with no credentials, no connections and no money when he decided to learn psychology and master the process of self-improvement. Through years of fanatical dedication to this quest he learned new skills, became a certified trainer for a variety of programs, read stacks of books, attended countless seminars and volunteered thousands of hours to civic organizations. In this process he moved from clerk, to manager, to sales person, to leader, to trainer, to author and professional speaker. He has delivered more than 2,900 presentations to audiences in every state of the US, most provinces of Canada and countries from Scotland to Singapore.